1. What pattern do you see? 2. How do you know what color comes next? 3. How many times does the color yellow appear? 4. If the pattern continued 7 more times (for a total of 10 times) how many times would yellow appear? 5. If the pattern continued 7 more times (for a total of 10 times) how many times would green appear? 6. If the pattern continued, what would be the 48th color? What would be the 55th color? 7. How could you answer question 6 without naming each color? 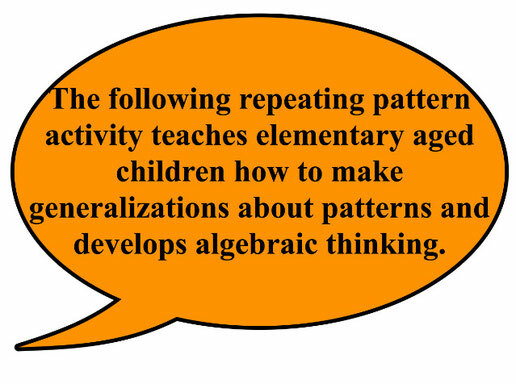 How could the pattern help you?